There will be walks of 3 different lengths, 6km, 10 km and 20 km. The two shorter walks are fully accessible. So to be involved the question is simple; can I walk at least six kilometres? On October 10 it wrote ‘Exercise is known to have a positive impact in MS. As well as promoting general health, research has found that exercise can help manage fatigue and improve quality of life for people with MS. It can also improve particular MS symptoms, including cognitive changes, balance and walking’. Exercise can help people with MS. In fact exercise is good for almost everyone. 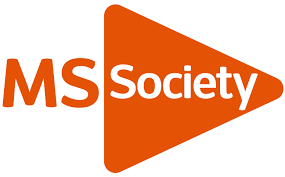 The MS Society is organising a walk and they would like people to be sponsored and raise money for the MS Society. I have one significant issue with ‘Together we walk’. Taking exercise is an essential part of my life. I suffer from secondary progressive multiple sclerosis and I have serious foot drop. I cannot walk unaided. It takes me about 45 minutes to walk I km and I must use a rollator. A 1 Km walk will be at the edge of my limit. There are plenty of people with progressive MS who suffer from mobility issues and would love to take part in the walk. As well as participating they would like to achieve a goal. The sense of satisfaction in achieving a goal is very important. Surely it cannot be too difficult to organise walks of say 1 km and 500m. This would allow people like me who suffer from progressive MS and have serious mobility issues to participate. They can raise money for the MS Society and achieve a goal. This is a win-win for everyone. Yes I could go on my mobility scooter and complete a distance of between 6 and 20 km but that is not a challenge. Where is the sense of achievement?For me and many others there would be none. 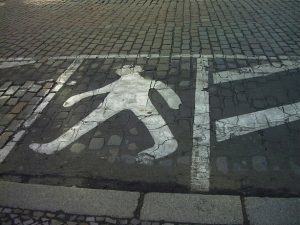 Why is the MS Society discriminating against people with a mobility problem? These are some of the very people the MS Society wants to represent. People with MS who are on benefits and apparently they are unemployable. Now they are even being ignored by the MS Society. These are people who would like to raise money for the MS Society but are physically unable to walk more than a short distance? Why can’t they join in with the walk? Why can’t the MS Society organise a shorter walk for them and allow them to raise much needed funds? Don’t ignore us include us. If you don’t know about this blog then it is well worth reading. OK some of the articles are excellent and some are dry as dust and expect a good understanding of MS from a medical viewpoint. I have spoken to the MS Society Fnding team. They say that you can go any distance from 500 metres upwards. You can use feet, rollator, mobility scooter. It is aimed at being a fun day out with friends and family. There is no accent on achieving a fixed distance. The aim is to make it a fun day, meet people and enjoy. To find out more go to https://www.mssociety.org.uk/ms-events/ms-walk. The idea of trying to walk 6km is crazy! In my exercise class you get a cheer! if you can actually stand up without holding on to something……. Thanks for that! The ms society may mean well, but there is such a lack of awareness of what people can and can’t do so well, especially those with rrms, ppms and spms. Personally, I was never limited until my rr became sp. Sadly, often those that represent a charity do not suffer disability themselves. They just don’t understand how a disabling disease can seriously affect one person much more than another. This includes the psychological impact of achieving a goal and not just taking part. I was told to leave a disability charity shop as my scooter (TravelScoot) was a vehicle and not allowed inside their shop. I was utterly gobsmacked as I take it in every shop I visit. How ironic the only one I’ve been turfed out of was a disability one fronted by fully able staff. Sadly what you say is true. I must find out how many people at MS HQ have MS. I would love to know who ‘signed off’ the Together we walk project ‘cos they need to spend a few days with somweone who has progressive MS. Your story about the Travelscoot does not surprise me. Total lack of empathy or understanding and terribly sad.